Cinema is known as the mirror of society. The filmmakers make movies that are inspired by what they observe in society and make a comment in an entertaining style which not only entertains but also conveys a message. Recently the country is in the grip of ‘love jihad’ or the conservative outlook of khap panchayats towards love and inter caste marriages. The filmmaker are thus tapping this sensitive issue and trying to educate the orthodox conservatives to bring an end to this gruesome tradition. 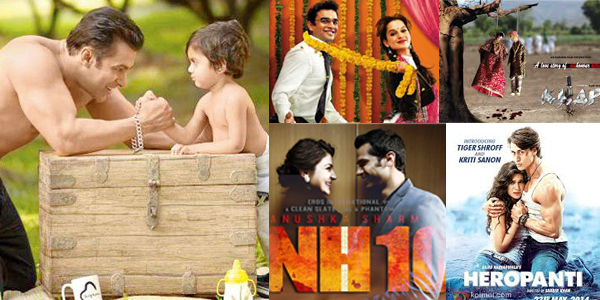 With recent success of films like Anushka Sharma’s NH10, Tiger Sharoff’s HEROPANTI and Kangana Ranaut’s hit film TANU WEDS MANU RETURNS the topic is becoming quite popular among the film folks. Arshad Warsi starrer GUDDU RANGEELA (GR), also has backdrop of the khap panchayats, and revolves around such crimes. However prior to these films many filmmakers have tapped this evil issue. Ajai Sinha, who is a front leader in making purposeful television entertainment serials like ASTITVA-EK PREM KAHANI and HASRATEIN made a bold attempt in 2011 when he made a movie KHAP — A STORY OF HONOUR condemning the ancient custom of the Khap mandates. The film talked about the controversial issue of honour killings that has rocked Haryana, Punjab, Rajasthan and Uttar Pradesh etc where youngsters are being butchered by their own kith and kin in the name of age old traditions. The film had Om Puri, Yuvika Chaudhary, Govind Namdeo, Mohnish Behl and Manoj Pahwa in pivotal roles. Incidentally the film which was not released in Haryana as the khap panchayats pressured the Haryana Government to ban its release since as the film portrayed khap panchayats in poor light. Interestingly even Salman Khan’s upcoming movie BAJRANGI BHAIJAAN is loosely based on 'love jihad' but instead of love between a Hindu boy and Muslim girl, the movie tackles a Hindu man’s affection for a Pakistani little girl who crosses border and comes to India. How Salman Khan helps in reuniting the little girl with her parents in Pakistan risking his life forms the crux of the film. Thus filmmakers on their part are doing the noble task of eliminating hatred and budding love and secularism. It is up to the learned members of society to educate the illiterate about such crime and end the cruelty. Remember if the society had not raised its voice against the evil system of Sati then even today, widows would have been blazed on the deathbed of their husbands!